Are you looking to decorate your child’s room but you’re sick of all the same old design options? Rebecca Kiff offers a quirky and inspiring alternative that you’ll want to check out. 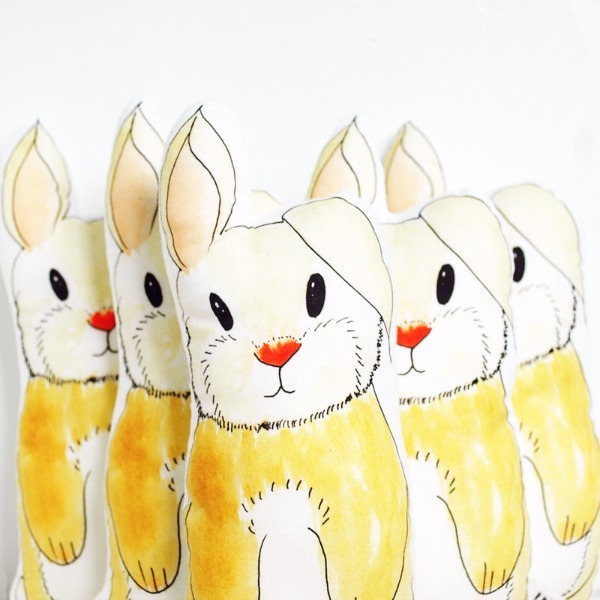 Artist and designer Rebecca Kiff works from her own hand-drawn illustrations to create a unique and timeless range of child-friendly homewares. 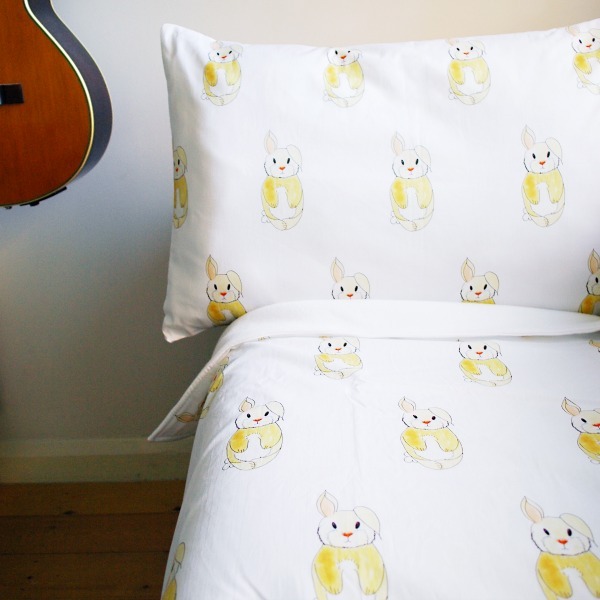 Personally designing each product, Rebecca specialises in bedding, cushions, soft toys and prints but also designs beautiful greeting cards and tote bags. Everything is handmade in the UK and the fabric is printed with safe and eco-friendly inks. Rebecca Kiff’s AW14 line has just been released and we couldn’t be more excited. 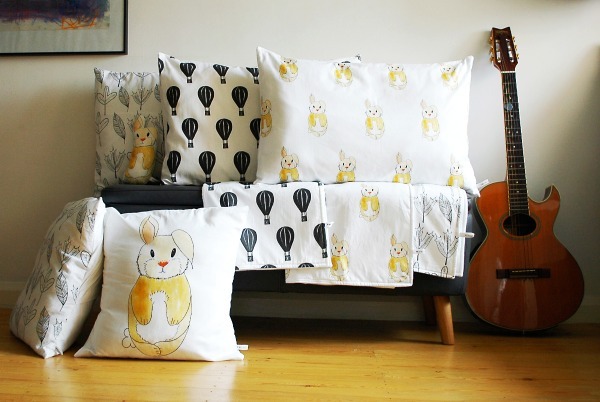 Bunnies, leaves and hot air balloons are the headline designs – all in Rebecca’s distinctive ink and watercolour designs on a white background. We love the unique whimsical designs and think bonus points should be awarded for creating pieces that will truly last the distance; they work just as well for babies or teens and I’m sure mums will be quite happy to claim them as their own as well. All the designs are soft yet gender neutral so they can suit any room. Keep an eye out for the bunny design; it comes in a soft toy that is just divine. You can buy Rebecca Kiff products through her website or check her list of Australian stockists.